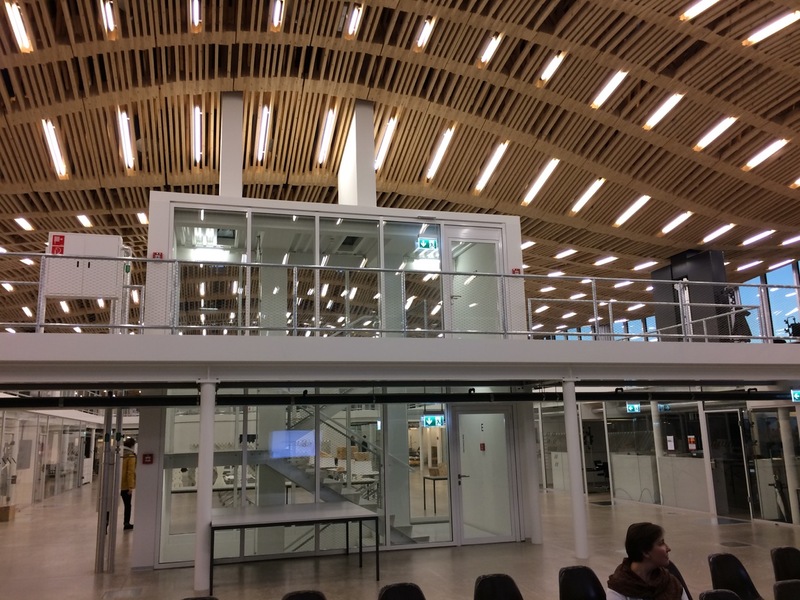 The National Centre of Competence in Research (NCCR) Digital Fabrication recently hosted an information and networking event under the title “Workplace Visit NCCR Digital Fabrication”. 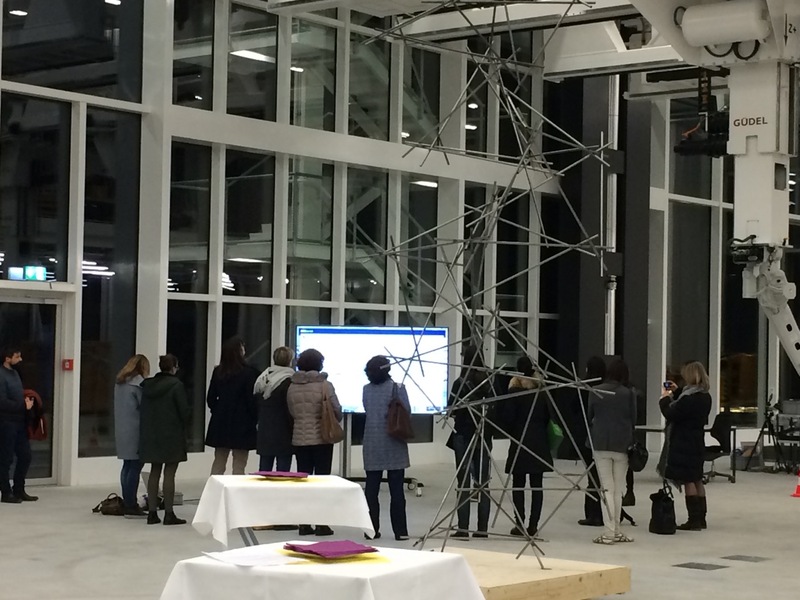 The event was jointly organized with «netzwerk Frau und sia» and «SVIN», two Swiss associations dedicated to the advancement of women in the disciplines of architecture and engineering. 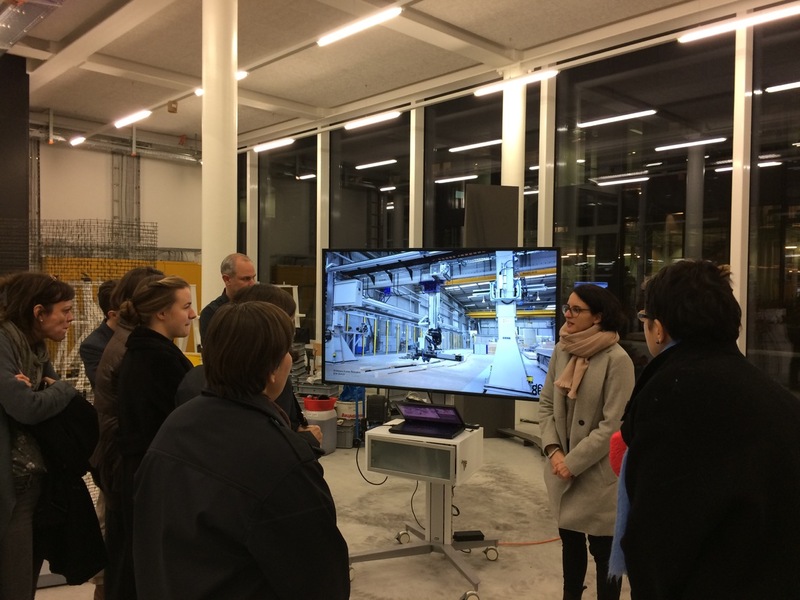 After a personal welcome by the NCCR Digital Fabrication’s managing director, Dr. Russell Loveridge, participants were welcomed by Beatrice Aebi, president of «netzwerk Frau und sia», the Swiss association for women in architecture and engineering, and by Brigitte Manz-Brunner, managing director of «SVIN», the Swiss association for women in engineering. 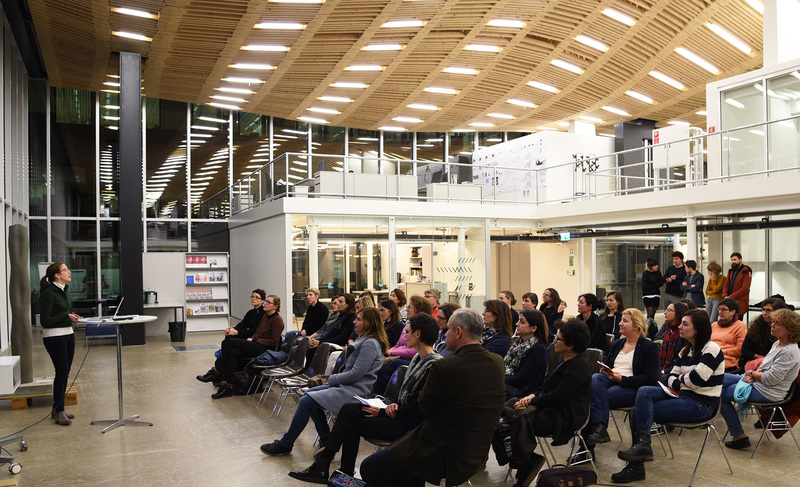 All three speakers highlighted the importance of promoting women within the fields of architecture and engineering, and how technologies are changing the traditionally gender biased roles in the areas of architecture and construction. «In order to promote equal opportunities within these disciplines, we need to join forces», highlighted Dr. Loveridge. «That’s why networking events such as this are of high importance», he continued. Over the course of the evening event, members of the two associations were toured through the Arch_Tec_Lab, the new building of the Institute of Technology in Architecture (ITA), and provided with an overview of research projects within ITA and the NCCR Digital Fabrication: Aleksandra Apolinarska introduced participants to the «The Sequential Roof» project, the prefabricated timber roof of the Arch_Tec_Lab building; Dr. Ena Lloret-Fritschi presented «Smart Dynamic Casting», a digital slip-forming technology for non-standardized concrete structures; Dr. Mania Aghaei Meibodi explained the potential of 3D printing and «Additive manufacturing for architecture»; Kathrin Dörfler presented «Mesh Mould» as new building technology which allows reinforced concrete structures of any shape to be build without separate formwork; and Stefana Parascho and Michael Lyrenmann welcomed the participants in the new Robotic Fabrication Laboratory of ETH Zurich to introduce them to «Multi-robotic prefabrication». Whilst external participants were visibly impressed by the different research projects, researchers enjoyed the discussions with the members of the two associations and the opportunity to network with peers from industry and practice. 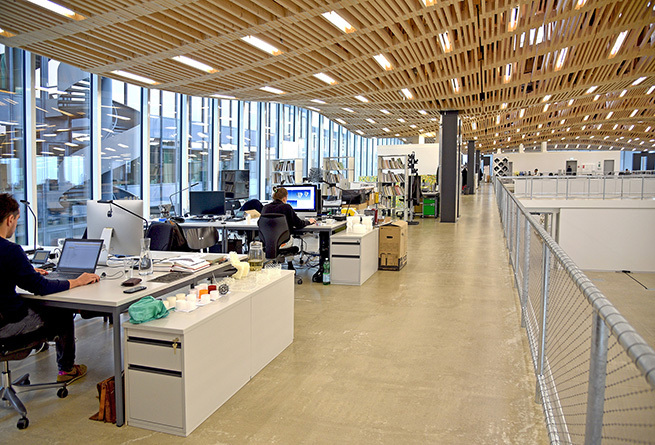 After this first introductory event, the NCCR Digital Fabrication looks forward to deepen its relations with industry and with these two associations within the framework of its equal opportunities program.